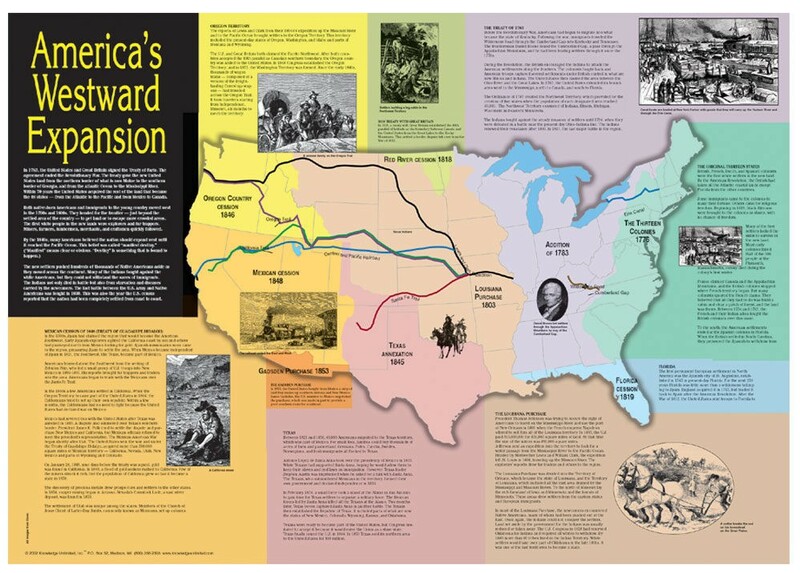 This oversize poster map shows how and when the continental United States expanded from the original 13 colonies on the Atlantic Coast all the way to the Pacific. A brief history of each land acquisition explains why the United States wanted the parcel and how it was obtained. 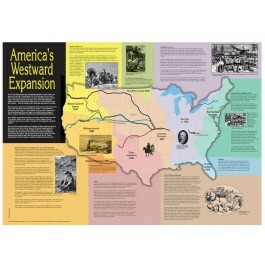 The important westward routes are also included, along with line drawings illustrating the journeys of pioneers.